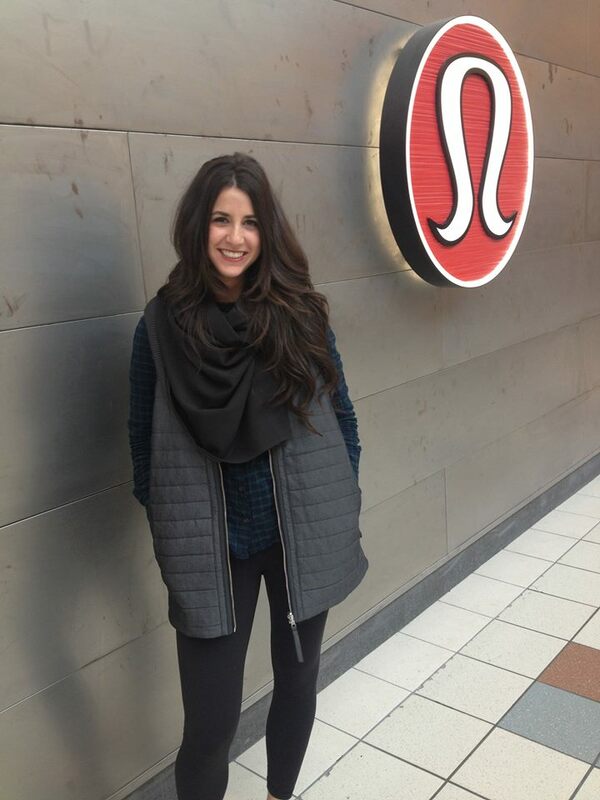 The lulu gods have gifted us this morning - some more photos of the Everything She Wants Vest. It has Sherpa Fleece on the inside. I hope that means some better uses of sherpa fleece are coming. 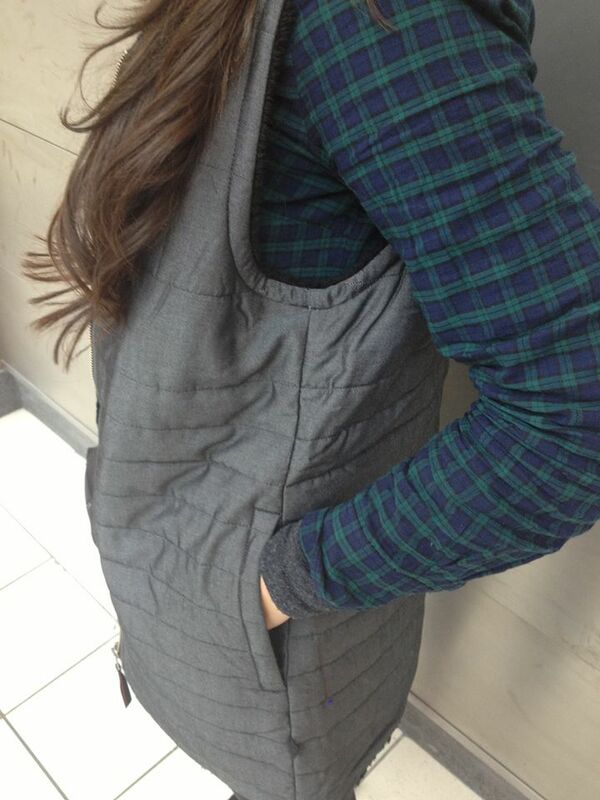 This vest is SO ODD, yet this woman makes it look cute. I would buy it if it was like $10. This had potential to be great, but then they went and made it so long and boxy. Like, the liner looks nice and cozy. like maybe sherpa fleece or something really soft. But wow, it's fug. I don't think this will be flattering on anyone. ever. I am dying to know the price. It almost looks too big on this woman. I know I am alone, but I like this vest, haha. It looks warm and cozy. It looks like it will go great over my other light - medium weight hoodies and jackets! This woman modelling the ill-fitting, sack-like vest is so beautiful. It almost hurts to see her in this monstrosity. 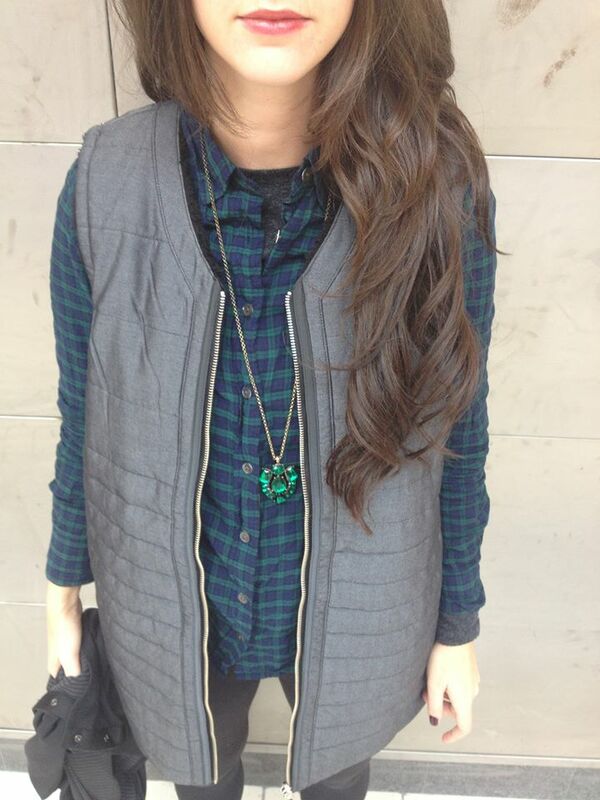 This girl is so beautiful, and I like her shirt, but that vest is horribly fugly!! It is way too large on her. No one could convince me to buy that. It looks like she's wearing her boyfriend's vest because she got cold and didn't have a jacket (happens to me a lot). Reminds me of a dentists xray vest. OT- With all of the athletic tops/pants/crops i have seen dead ringers for at Marshalls and TJ max lately. I'd cry knockoff except with the lacking quality of lulu lately, Id rather buy too-thin herringbone pants for 25$, not $90. I don't know if i have just officially fallen out of love because of this, or just snapped out of it in general....? I didn't realize how awful the neckline was until these pictures, yuck! At least give the thing a collar! I think it would have looked better with a zipper that blended in with the dark color. It really just looks like a zip-out lining. some of the too from wear is quite cute, i don't deny it. prices are not my thing but so be it. problem i have is where is the workout wear lol?? could also be there has been lots of selection and nothing is appealing to me, who knows. I'm not even sure what i am looking for anymore! on another note, i bought some bluetooth headphones, middle range pricing from what was available and I LOVE them. Im so uncoordinated I end up ripping my earphones out at the gym while working out, get all caught up in the cord lol. I love these new ones (don't want to push a product as to not appear spammy) but I highly recommend trying bluetooth! They were pricy but not ridiculous (i.e under 80 dollars) and meant for exercise. best workout reward purchase in a LONG time. The gal is much cuter than the vest. Hey luluaddict I'm wondering if you know if the polar parka fits like the right as rain jacket? I have a size 6 right as rain and it's a little nerve racking dropping $300 for a coat I can't try on! What do you think of the coat? The model online does not make it look appealing but when I google photos of it it's really cute ! 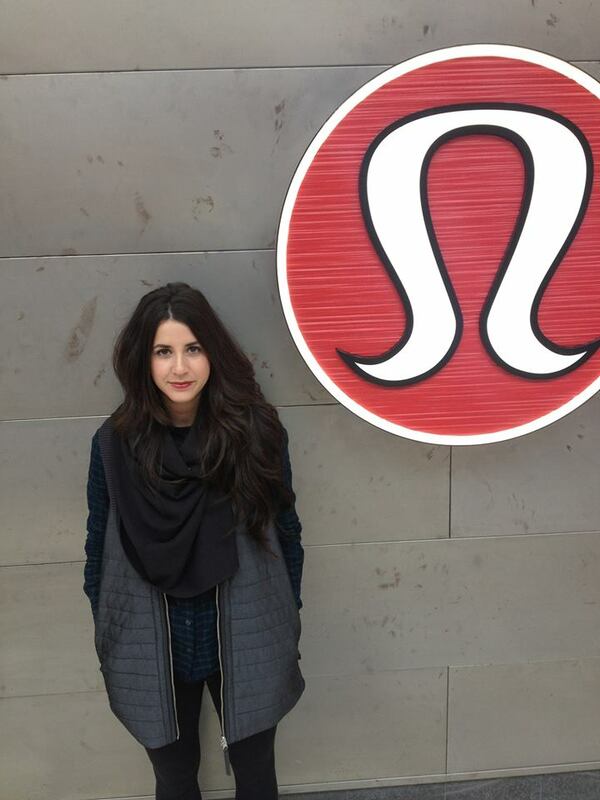 I thought you didn't like this vest luluaddict ? I have to disagree with everyone! I love this vest! i love that it covers the tush...it would be a great staple in my closet! I hope this girl is wearing a size too big, cuz it does look a bit boxy and too big....I hope this was intended for the European websites....we don´t always get everything and then I have to fight with ALL of Europe to get my size!! Please send a store to Norway!!! I'm not interested in the vest but, can I have her hair? This is a look that happens when you grab the jacket hanging closest to the door on the rack before you run out to get the paper in the morning--and it's your husband's. LLA, your tags are the best! Darling model...The big boxy vest and bundle up scarf present a top heavy mess! OT Palo Alto LLL had at least 20 black pique Vinyasa's . I don't want one, but weirdly tempted because of all the hype. I prefer the neck warmers and picked one up in the BP already. Purchased the green LS swiftly, and yes the purple one is much more purple that BB. her hair is amazing! 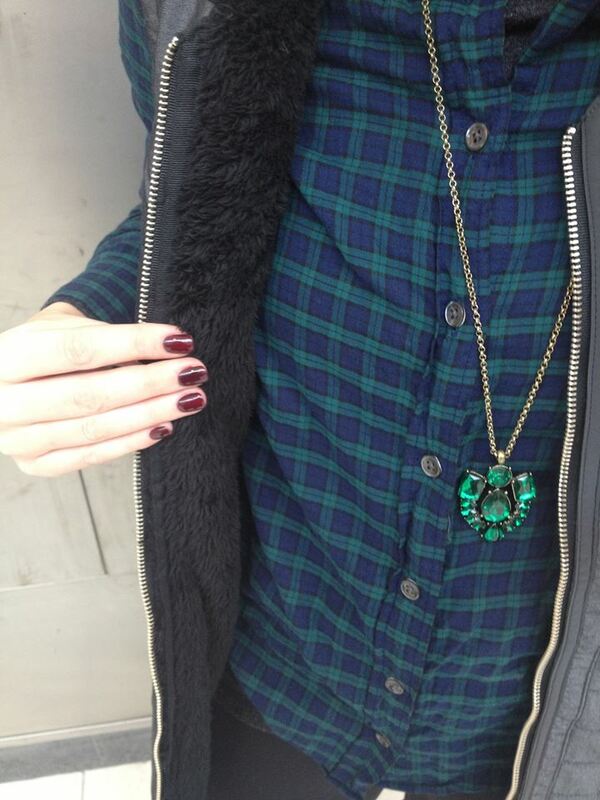 and i have that shirt (j.crew last year). but that vest is huge and unflattering. i agree that it looks like i grabbed my hubby's vest (and he is about 85 pounds heavier than i am). She looks sweet and is nice to model the vest. While everything probably looks good on her, this is bad. The vest is just bad. haha $128. Never! that vest basically looks like she borrowed her huge boyfriend's or dad's vest. I bet it's comfy.